SQA Triva Question – who created the first bug report? 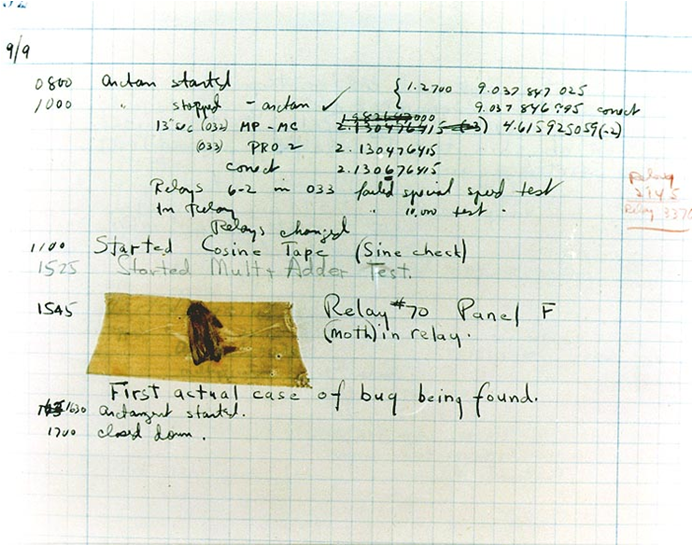 Did you know that the first bug report was a real bug! In 1946, Grace Hopper joined the Harvard Faculty at the Computation Laboratory where she continued her work on the Mark II and Mark III. Operators traced an error in the Mark II to a moth trapped in a relay, coining the term bug. Grace carefully removed this bug and taped to the log book, thus becoming the first bug report. I guess when these developers said it must be a bug – they really meant it!